Jane Wilbraham (b. Shropshire, UK, 1967) studied at the Ruskin School or Drawing and Fine Art (1987-90), The Slade School of Art (1990-92). She spent 1993-1995 on residency at Rijksakademie van Beeldende Kunsten, Amsterdam. Wilbraham lives and works in London. Wilbraham's sculptural practice is deliberately hermetic, extensive, repetitive and perversely time-consuming, so that she can use this making time as a contemplative exercise. Her motifs arise from her relationship with the urban environment, political/economic discourse as well as from a traditional Folk art canon. The use of carving and whittling is particularly interesting in the current context, says Wilbraham: "The American writers Walter Faurot and E.J Tangerman published their useful and informative guides to whittling and carving during the Great Depression when the practice in the USA arguably reached its height, which suggests that there is a possible psychological link between extreme physical making using obdurate materials, and the experience of those living through economic disruption, trauma, dislocation or uncertainty". Her sculptures are produced alongside watercolours exploring similar subject matter. 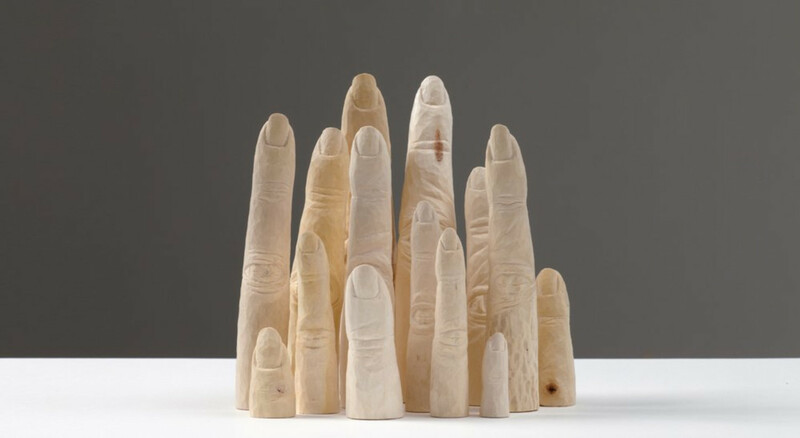 In recent years, Wilbraham has made her sculpture almost exclusively in Sycamore, cut and carved in the green and sourced from the area around her London studio. It is a very hard, tight-grained, creamy white wood that is readily available, self-seeding prolifically on urban waste ground as well as in the field, and it was often traditionally used in vernacular British folk art including Welsh love spoons, clog soles and various utilitarian kitchen implements. For Wilbraham, it carries the dual potential of resourcefulness and poetry. Selected shows include British Museum (London), the New Art Gallery (Walsall, UK) and Hales Gallery (London). Wilbraham's work is included in various private and public collections including the International Collage Center (US), British Museum (UK), UBS (UK), Fidelity (UK), C12 (US), Santa Barbara Museum of Art (US) and Oxford University (UK).